The John Muir Residence is a stylish, detached, well equipped four bedroom self-catering serviced residence decorated in contemporary themes. It benefits from FREE Wi-Fi, a large private garden and single garage. Located in Motherwell, less than 10 miles from Glasgow, it lies just a few minutes from the M74, Scotland's main motorway route south of the border, making it ideal for business and pleasure. Busy Motherwell train station linking to Glasgow and Edinburgh is just a short distance away The modern house can sleep up to eight guests across four bedrooms. The well equipped property boasts a large lounge with smart 50" HD TV with access to streaming services such as Netflix, You Tube etc. The spacious dining kitchen benefits from attractive double French doors opening out onto a patio area and the large private garden. A large dining table seating up to eight guests leads onto the well equipped kitchen with gas hob and electric oven as well as fridge freezer and microwave. The adjoining small utility room boasts a dishwasher and washer/dryer and an adjoining WC. Two double bedrooms with fitted double wardrobes, two single bedrooms and the main bathroom complete the scene upstairs. The master bedroom benefits from an en suite shower room. We had a wonderful time at this location as it was situated between Glasgow and Edinburgh, just two of the many places we visited during our stay. House had everything one would need, shops just a stone throw away and area was so peaceful. We thoroughly enjoyed our Easter holidays and would highly recommend to our friends. The house was spacious with lovely large comfortable beds and it was clean and warm. We stayed as a family for four nights over Christmas. We came to watch our daughter/ granddaughter in the pantomime at the SEC. We traveled into Glasgow from the house easily on several occasions. Lovely big dining table and eight chairs which was good for our Christmas dinner. The owner, Frank was always very helpful and we enjoyed our stay. The area is at the very the heart of Scotland's main population centre with first rate train, bus and motorway links to both Edinburgh and Glasgow. Glasgow's bustling city centre with its highly rated shopping experience and bar and cafe culture is just a 15 minute drive away. 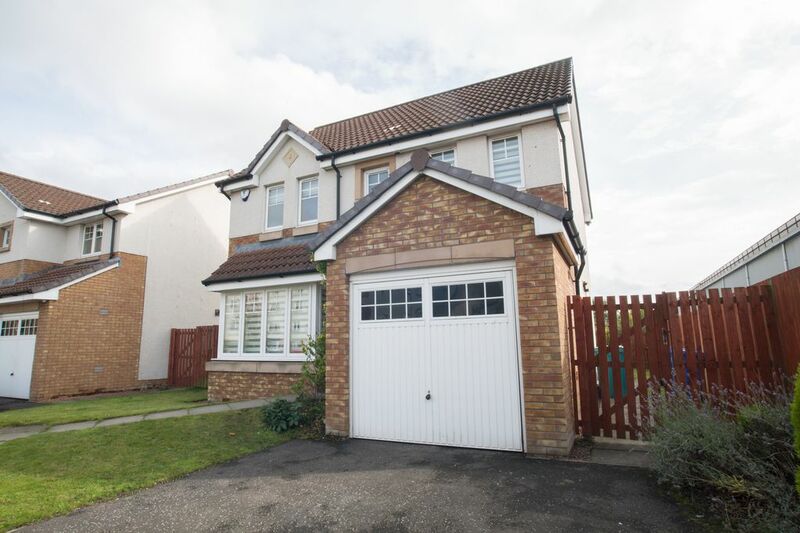 The house's close proximity to the M74 makes it handy for travellers from south of the border to use as a base while exploring the country or visiting on business. Strathclyde Park is less than a mile away with its global reputation as a water sports centre, particularly rowing, growing year on year. The ever popular Hamilton Racecourse is just a ten minute drive away and the lively M&Ds Theme Park is also close by.